Newsflash: This isn’t the 1980s. Even the biggest companies in the world don’t tackle issues by blindly throwing money at the problem anymore. Major business initiatives get done by following exactingly planned, hawkishly maintained methodologies. For those elite managers tasked with carrying their company’s most important projects to a successful end, that means adopting a philosophy that guides your decisions and helps manage against failure. Whether it’s Agile or Waterfall, Six Sigma or PRINCE 2, there’s a project management track geared to your preferred methods. And you can learn them all with this Ultimate Project Management Certification bundle ($79, over 90 percent off) from TNW Deals. In all, you’ll receive nine courses, each laying out a different project management school of thought. Your instruction shows how each philosophy approaches project success issues like resource management, data analysis, timeline maintenance or stakeholder engagement — and which attack plan could work best for your business’ needs. 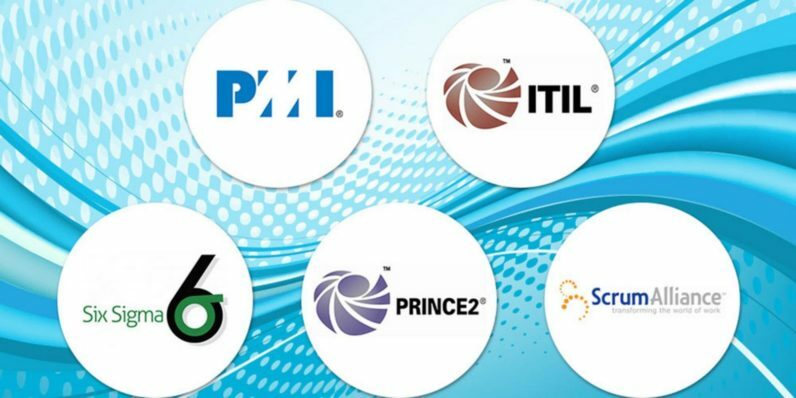 In the end, you’ll have earned certification in nine of the most popular disciplines in project management, including PMI Risk Management Professional, Information Technology Infrastructure Library (ITIL), Certified Associate in Project Management (CAPM), Certified Scrum Master (CSM), Project Management Professional (PMP), Six Sigma Green Belt, Six Sigma Black Bundle, PRINCE2 Foundation Certification, and PRINCE2 Practitioner. With certification in each, you’ll have a resume of understanding that should immediately put you in the discussion to help lead any enterprise your company rolls out. In all, these courses would regularly cost almost $4,300, but with this limited time offer, you can get them all for just $79.